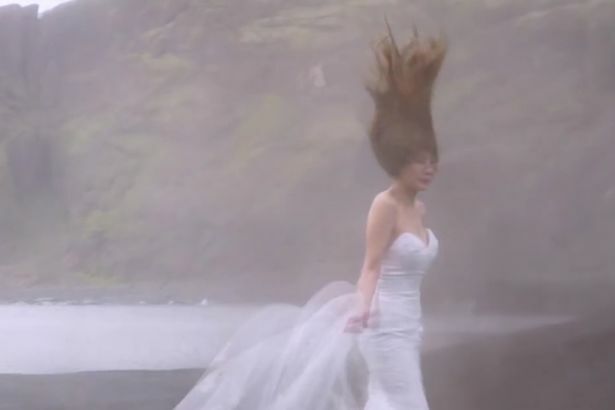 It’s the wedding photo of your dreams – but how on earth did this incredible picture come about? The memories you create on your wedding day are ones that stay with you for life. And judging by this stunning photo, the happy couple won’t be forgetting theirs in a hurry. 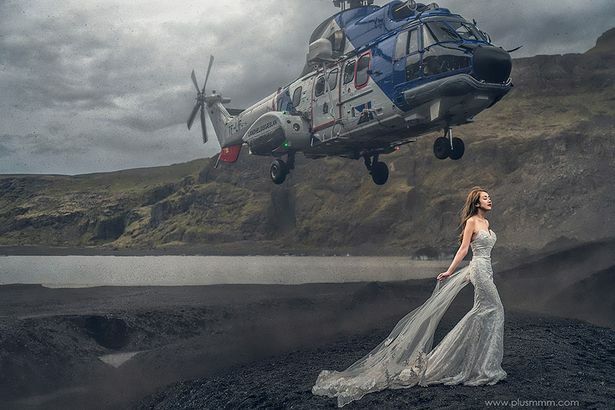 A blushing bride stands on the Icelandic coast as a helicopter soars overhead. The incredible image was captured by renowned wedding photographer CM Leung during an already unconventional shoot on the Nordic island. Leung was snapping the man and woman on rocks and cliff edges when the Iceland Coast Guard chopper arrived on a rescue call. 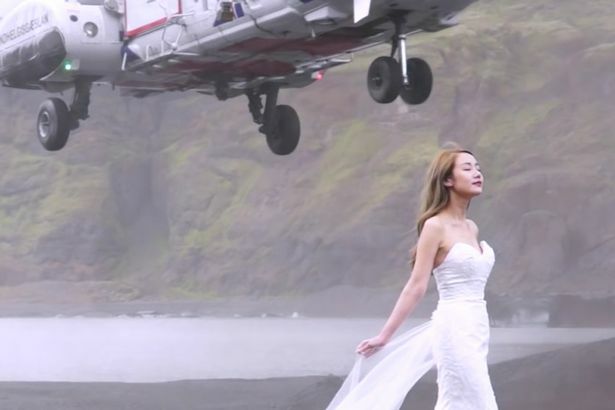 Once everyone was safe, Leung positioned the bride to stand in front of the helicopter taking off, while emergency crews stood by to ensure the plan went off safely. The results are breathtaking – but as a behind the scenes video shows, it wasn’t entirely plain sailing. While the helicopter looks about to strike the bride in the head, the angle of the photo makes it look closer than it actually is. But it was still near enough for the wind from the propellers to blow the brides veil out of her hands and knock her, and the photographer to the ground. Since posting the video of the shoot on YouTube earlier this month, the film has been watched more than 242,000 times. Next Next post: What do ordinary citizens in the Arab world really think about the Islamic State?